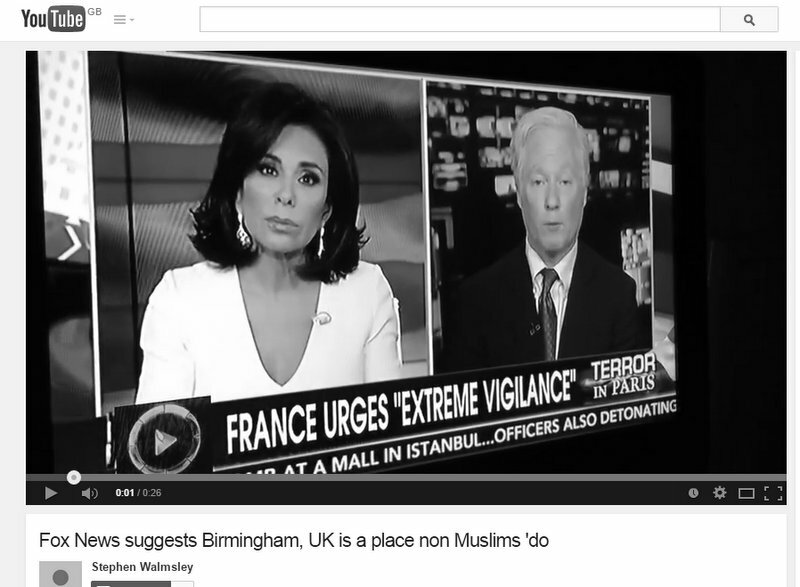 When Fox News decided to screen an interview with an 'expert' who claimed nobody non-Muslim went to Birmingham the internet decided to settle the score with humour. First we got mad, then we got angry... and then we just took down Fox News a peg or two by being a bit British about the whole thing. If You missed it, right wing US news channel Fox News interviewed an 'expert' who claimed that non-Muslims no longer go to Birmingham in the UK. A city of more than one million. Not one infidel. Not one. Just to round it all off the wide-eyed Washington-based interviewee claimed that Sharia Law was being enforced by the religious police on the streets of London. Coming on the day more than a million people gathered in Paris unite against intollerance and the Charlue Hebdo murders this was at best unhelpful. At worst, this was comfortably the laziest piece of shoddy journalism I can ever remember coming across. At first, we got angry. How dare they? Then the #foxnewsfacts hashtag emerged as a counterweight. It was a joyous thing. A response made up of Britiish sarcasm and p**s taking. News media weighed in. But the best content was that from people themselves. As a rebuttal to inaccurate journalism this is peerless. As an example of what the social web can do it was brilliant. Here is a selection of some that made us laugh. Well played Birmingham. And everyone else. Dan Slee is co-creator of comms2point0.